Perri's Basic Leather Guitar Strap with Leather Guitar Pick Key Chain Brown 2.5 in. More than just a fashion accessory. Perri's Leathers' LTD knows that guitar straps are more than just fashion accessories. They know the essence of a great guitar strap, one that will connect you to the heart of your expression. Lou Perri, original owner, artist, musician and patriarch, Anthony Perri, innovator and son - together they put the soul into each guitar strap they create. 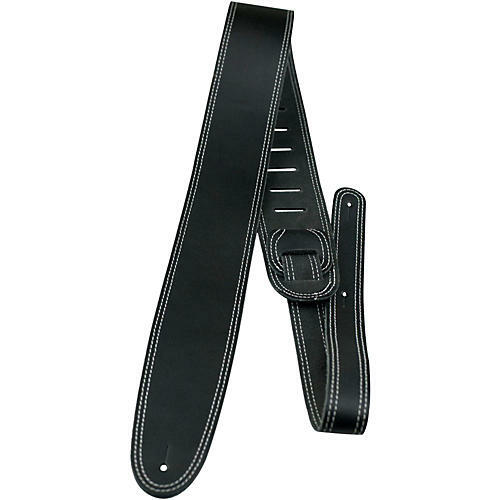 This 100% Genuine Leather double stitched guitar strap is 2.5" wide and comes adjustable to lengths from 40" to 50".